Bastardizing the game with micro transactions have done nothing to help the fantastic developers that bungie obviously are. Just read skill ups post on this on YouTube. He's nailed it on the head. HOPEFULLY EA will follow suit after destroying battlefield and star wars franchise. Developers need their in house publishers or someone credible like gearbox. Micro transactions that are just cosmetic stuff is NOT the same issue point as other games. Please don't blast D2 with "micro transactions" when that isn't the same issue point as Fifa and the like (those are bad games for that reason). D2 is just cosmetic stuff that has ZERO impact on the game as whole, you can not buy your way up in skill or light level. Besides at least Bungie does it correctly where you get 3 free "micro transaction" uses each week (1 per each level- 3 total, assuming max level). Fifa on the other hand...is laughable as how far down the micro transaction void it's fallen. Master has given Bungie a sock! Can't wait to see where Destiny goes now, exciting times. Not that far, Bungie had full control of Destiny 1 and they overpriced it along with all the DLC. Great, now BO4 is the only Game under the Activision tab again in the b.net app. Hopefully CoD will return to Steam this year, then. I guess it's good news. They're good devs. But I still have no interest in Destiny. Good news but people forget that Bungie made some very bad decisions when it came to Destiny 2 too. Will wait and see how this pans out but hope it's a positive move! It is good news but Bungie have made mistakes with Destiny 1 and Destiny 2 that I honestly do not believe has anything to do with Activision. For those who play Destiny 2 and played Destiny 1, they will know that Destiny 2 is a mirror image of how Destiny 1 was. Let's face it, Destiny 1 didn't get really good till the, "The Taken King & Rise Of Iron DLC" came out. With Destiny 2 "Forsaken" has done what "The Taken King" did, and I fully expect another DLC like "Rise Of Iron" to be announced and released for July to September this year with Destiny 3 being released September 2020. 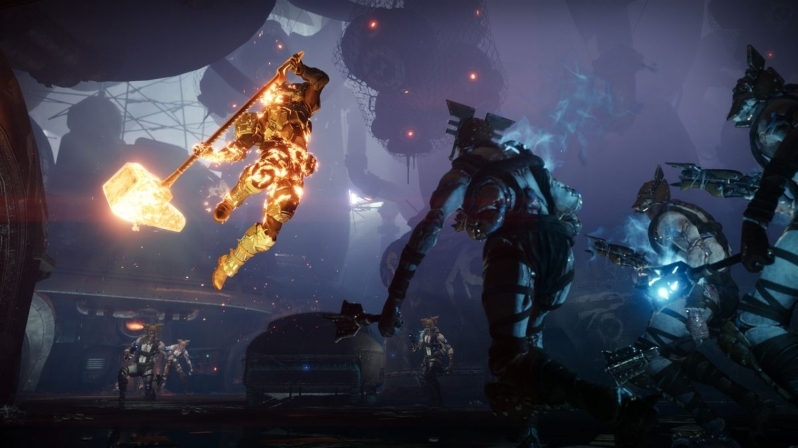 Destiny 3 will have the same issues as Destiny 1 & 2 I am confident of that, and will again mirror the issues of the previous 2 however I am hopeful that Destiny 3 and what ever DLC they release later this year is better, than anything we have had previously. The Micro-Transactions are not bad in Destiny 2, yes the emotes are abit stupidly priced, but there is nothing that is game breaking or "Pay to win" about them and I don't mind them in this game they are not like the "Red Dot" in Black Op's 4. Time will tell though, but I do hope other big developers follow suit and go it alone and get away from the likes of Activision and EA. that could still be because of Activision. Churning profit with minimal change is a very publisher thing to do. Nobody really knows. Proof is Call of Duty, Battlefield, Assassins Creed, Civ series(following the 33/33/33 rule after all) etc. All very similar.